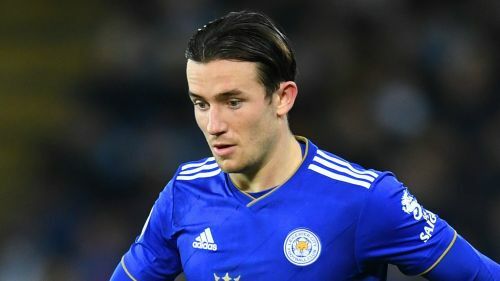 Leicester City defender Ben Chilwell wants to become "one of the best left-backs that England has ever had" and has set his sights on being Gareth Southgate's first choice in next year's Nations League finals. The 21-year-old has made five appearances for the Three Lions, four as a member of the starting line-up, and his performances for the Foxes are ensuring he retains a strong claim to the left-back spot in Southgate's team. Chilwell, who signed a new six-year contract at King Power Stadium in October, has helped Leicester keep clean sheets against Watford, Burnley and Cardiff City in recent weeks and is focussed on maintaining his form until England's European Championship qualifiers in March. He told Sky Sports of his ambitions to become an England great, saying: "That's my long-term aim. "Obviously, I'm not thinking too much about that because it's a long old career and I'm taking every week as it comes. "At the moment, if I can play well for Leicester for the next few months, then hopefully I can be involved in March and then be involved in the summer in the Nations League. "That's my short-term aim. The long-term aim is obviously to be the first-choice left-back for 10 years to come and be one of the best left-backs that England has ever had. But that's obviously in the back of my head." Chilwell came up through the academy ranks at Leicester and had a spell on loan at Huddersfield Town in 2015-16 before establishing himself in the first team a season later. He admitted that he almost pursued cricket over football after achieving success in his younger years, saying: "Maybe I was an even better cricketer than a footballer. "I started playing men's cricket when I was 15. That's when I stopped enjoying it. It was long days, 50-over games with men 15 years older who you don't really have anything in common with, all talking about going to the pub. "I was enjoying my football, even though it wasn't really going well. That's when I said to my dad, who as a New Zealander was very keen on me playing cricket, that I would choose football."